Designed for the glamorous hounds out there. This silver leather collar is decorated with a mix of sparkling stars and crystals. 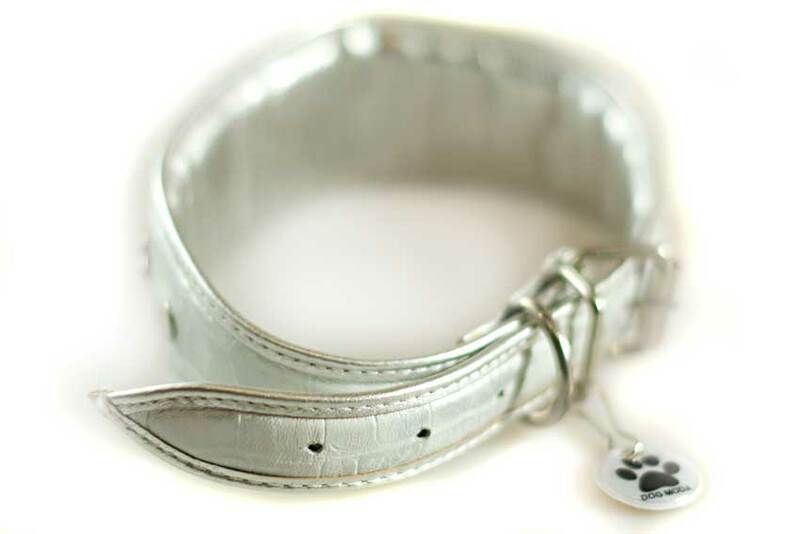 An eye catching collar for your Greyhound to be noticed. 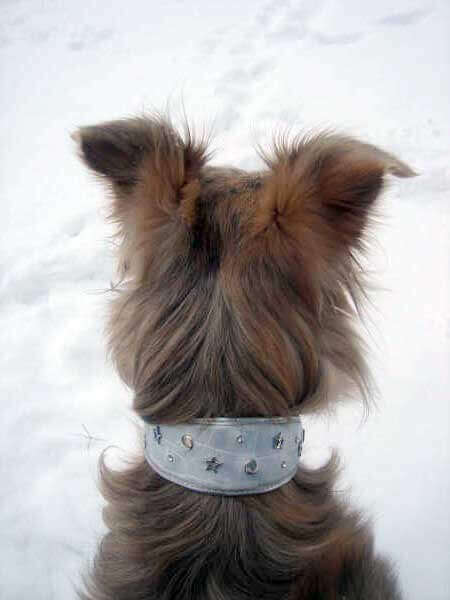 Like all Dog Moda collars this hound collar is padded and lined with soft silver leather and is soft and very comfortable. This collar is now SOLD OUT in smaller sizes and is available in size L only. 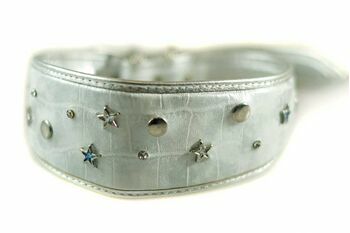 Your last chance to own one of these stunning collars as we will not be repeating this model in silver. Decorate your hound's collar with one of our exclusive collar tassels and save £5.00. Dog Moda tassels are designed and handmade exclusively by us in the UK.